Learning to manage time well is a crucial skill that can easily make or break a person's success. 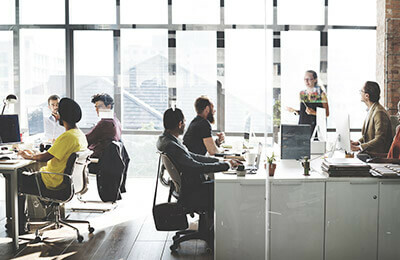 A simple glance at the desks of various workers reveals different organizational and time management practices that individuals have adapted to their personality. Personality preferences have an impact on how individuals successfully manage their time. Different approaches to time management are equally effective and neither approach is better than the other. In this program you will learn how to increase your personal effectiveness by using management techniques that fit your personality. You will apply time saving techniques, learn ways to overcome procrastination and find out a variety of methods to living a balanced life. Upon successful completion of this course, students will be able to: • Define various approaches to time management. • Understand the relationship between time management style and personality preferences. • Select your personal preferences for working efficiently. • Assess your time management style. • Outline traditional time management steps. • Acknowledge when traditional time management works well. • Identify when traditional time management does not work well. • Recognize the causes of procrastination. • Implement tips to overcome procrastination. • Use a four-step strategy to make to-do lists manageable. • Initiate one of three options to handle incoming paper. • Analyze the reasons clutter accumulates. • Clear out clutter and organize your workspace. • Apply time-saving techniques. • Determine when tasks can be automated. • Utilize the priority matrix. • Identify the priorities and boundaries of your job. • Designate the priorities of a balanced life. • Blend the strengths of the four time management styles to customize your own mix of efficiency and comfort.